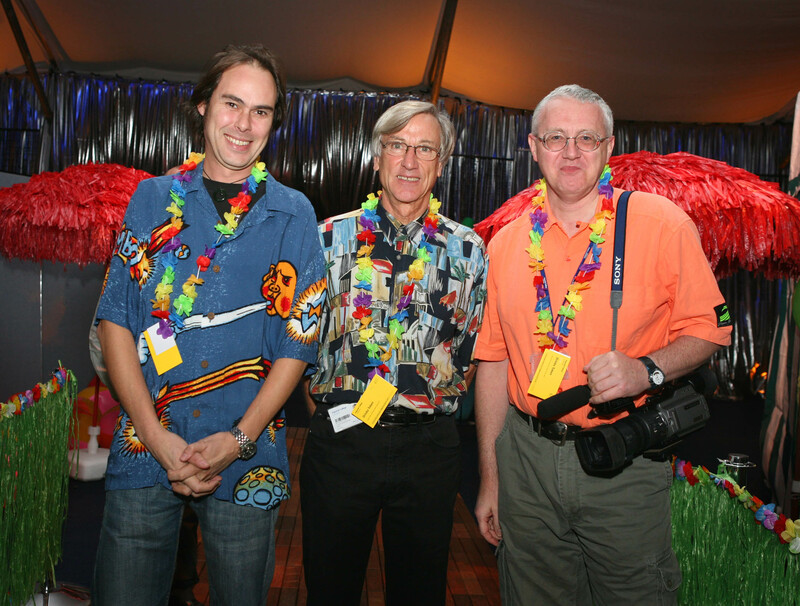 Peter Mee graduated in economics from University College London. In 1959 he moved to Imperial as assistant planning officer, a position he held for eight years and in 1967 was appointed registrar, a post he held until 1996, then becoming College secretary and clerk to the governors until his retirement. In collaboration with John Smith, the then secretary to the College, he formed the Harlington Trust. Consistent throughout Peter Mee’s time at Imperial had been his support of sporting activities. He had been president of the IC Union Football Club and chairman of the Harlington Athletic Ground Committee. And the boat named after him by the IC Boat Club has crossed the winning line twice at Henley. This discussion between Peter Mee and Anne Barrett, the college archivist, was recorded in the college TV Studio in May 2006. It was used, in part, during Imperial’s centenary celebrations in 2007. This is the first time that the full interview has been made available. 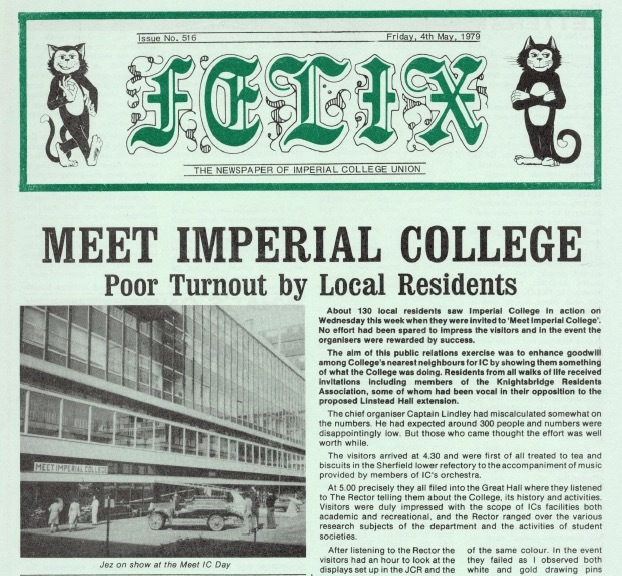 On 2nd May 1979 Imperial College ran a PR exercise for the local residents around the South Kensington campus. 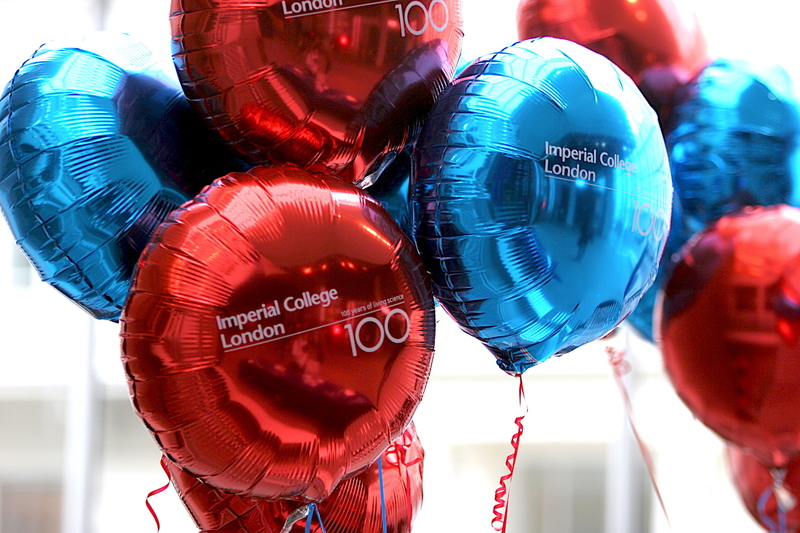 The event was called Meet Imperial College. The objective was to inform, update and educate the residents on what the college was doing at that time. 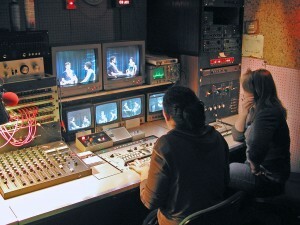 The following video is the only record of the event and was shot by the student TV service STOIC. Having said that, I actually shot the video using our newly arrived colour equipment as I wanted us to have a record of the event and to have it shot properly! I’m glad I did that, some 38 years ago, because now we have a chance to see it again. Grant Richmond was the STOIC reporter at the event itself. You’ll catch a brief glimpse of Eric Laithwaite and his linear motor among the many things on display. Lord Flowers the Rector, put on a brave face and spoke about the number of people who attended! The picture quality is poor. Our colour camera (as mentioned in previous entries) needed loads of light to give good images, however the location in the Sherfield Building lower refectory was dimly lit. The studio shots prior to Grant’s location report were with the same camera, but under good studio lighting. In July 2006, John Smith former College Secretary (1979-1989) spoke to the College Archivist Anne Barrett in the college TV Studio. His recording formed part of the Imperial College centenary celebrations held during 2007 and this is the first time that recording has been seen in full. It’s a great insight into some of the working of the college during his time in office. There are also plenty of stories and memories of things he was involved with. 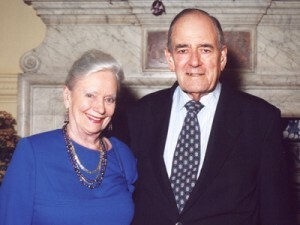 The photo shows him with former Rector the late Lord Flowers. 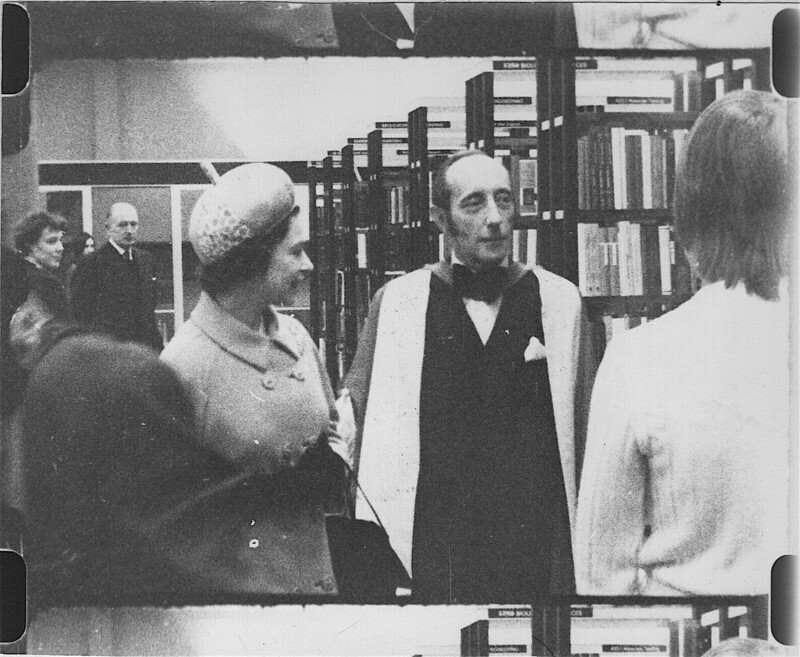 A sad reminder of how we are slowly losing access to audio visual materials is the 1969 royal opening of what was originally called College Block, but is now known as Sherfield Building. The event was covered on silent 16mm film. Once it was edited, we added a sound track to the film along with a commentary. Sadly the sound is on an unusual magnetic track format along the edge of the film and I’ve not succeeded in finding a facility to make a transfer into digital form (and at a cost we might agree on). The one clip I have is from an early transfer I made myself onto videotape, but has since itself now disappeared. This clip was incorporated in a compilation video I made for the college archives, so only exists because of that tape. So, here is all we currently have of the full 16mm film, unless YOU know a way that we can get it transferred, preferably at no cost! The photo was taken many years ago from part of the actual 16mm film. Leslie Croker came to work in the Chemistry Department of Imperial College in 1926 as a lab boy. In 1949 he was made a Laboratory Superintendent for the Physical and Inorganic chemical laboratories and later in 1956 for the entire Department of Chemistry. He was greatly involved in the training of technicians at Imperial College (and in London in general) and talks about this in the video. Back in October 2010 I brought to you an extract from a unique 16mm colour film that was residing in the college archives since 1973. Robert W Sarnoff was President & Chief Executive of RCA (Radio Corporation of America). He was the eldest son of broadcasting mogul Brig. Gen. David Sarnoff, he followed in his father’s professional footsteps throughout his career at NBC and RCA. On October 25th 1973 he received the Fellowship of Imperial College at Commemoration Day. The citation for Sarnoff indicates that he was the benefactor of the Imperial College Haldane Music Library. News of this Commemoration Day Fellowship was reported in the Milwaukee Journal in November 1973 and the Nashua Telegraph in December of the same year, so this must have been important. Also here’s a report in Felix the student newspaper. 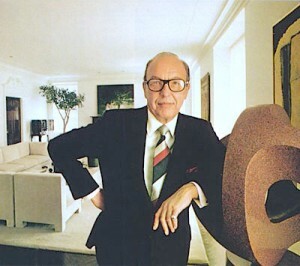 Sarnoff paid for large parts of the 1973 ceremony to be filmed in colour and or course with sound. 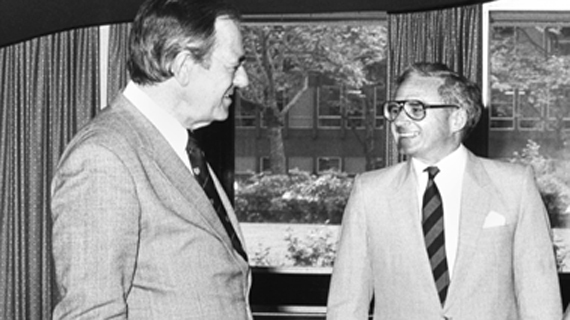 Lord Flowers (1924-2010) was Rector at the time and speaking at the ceremony was David Sinclair – Student Orator; Professor Gerald Whitrow (1912-2000) – Staff Orator and the Chairman of the Governing Body – Lord Sherfield (1904-1996). Eric Brown is seen conducting the Choir. This is the earliest moving picture record the college has of one of its ceremonies and it’s thanks to Robert Sarnoff that this happened. One of the greatest achievements by RCA and Sarnoff in particular was the development and introduction of colour TV in the USA. At the dedication ceremony of NBC’s new Washington, D.C. facility on May 22, 1958, Sarnoff introduced President Eisenhower who became the first President to then appear on Colour TV. For those interested, you can see an amazing videotape that has been rediscovered of this event. The tape represents the earliest known colour television recording discovered to date. Here then is the full 16mm colour film of Commemoration Day, being shown for the first time after its transfer into digital form. I was recently ploughing my way through yet more archive videotapes and discovered another piece of Imperial College history. 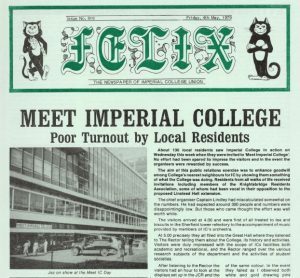 On the 11th November 1976 we recorded an interview with the then Rector of Imperial, Sir Brian Flowers. Later he was to become Lord Flowers of Queen’s Gate. During the interview James Sinclair, who was then the STOIC Chairman, discussed many topics, including the current building extension application for Linstead Hall, one of the accommodation buildings around Prince’s Gardens (east side) which was rejected by Westminster City Council. The extension finally happened in 1980, both the original and extension buildings have subsequently been demolished and replaced by Eastside. Brian Flowers was the most cooperative of our rectors when it came to being interviewed, either in the studio or elsewhere. I think he felt that such collaboration with the studio and other ‘media’ on the campus would pay itself back when discussions took place on student matters or affairs. He was certainly one of the most popular rectors. When the interview was recorded we were still operating in black and white, colour was three years away. However, the ‘new’ studio had only opened during the summer of 1976 and was once again to be modified when colour arrived in 1979. I reckon this was the first rector interview in the new studio, which for those that remember, was on level 2 of the main walkway. The photo on the right was taken in 2006.